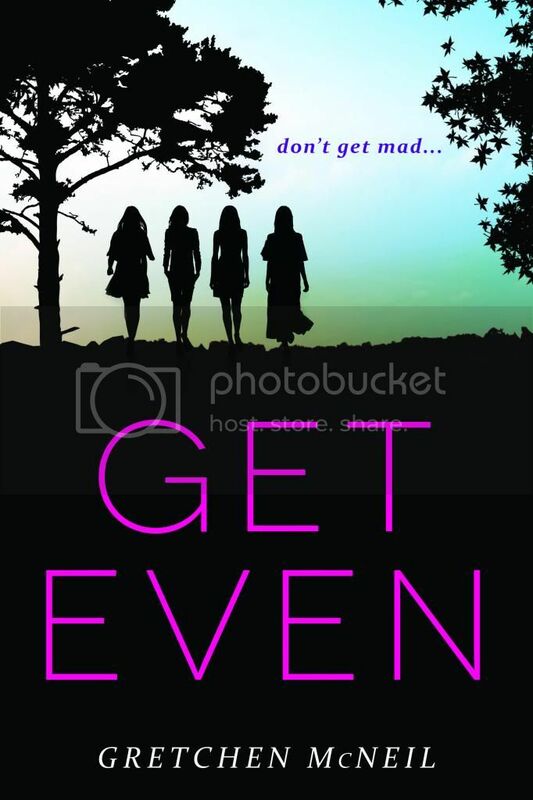 I am a huge fan of Gretchen McNeil so I jumped at the chance to be a part of the cover reveal for her next release, GET EVEN! And guys, IT’S HER BIRTHDAY, TOO! Follows the secretive exploits of four high school juniors – Kitty, Olivia, Margot and Bree – at an exclusive Catholic prep school. To all outward appearances, the girls barely know each other. At best, they don’t move in the same social circles; at worst, they’re overtly hostile. Kitty Li – captain of the California state and national champion varsity girls’ volleyball team, she’s been recruited by a dozen colleges and has dreams of winning an Olympic gold medal. Olivia Hayes – popular star of the drama program, she’s been voted “most eligible bachelorette” two years running in the high school yearbook and has an almost lethal combination of beauty and charm. 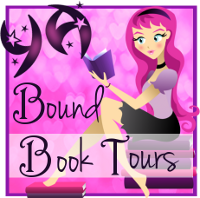 Bree Deringer – outcast, misfit and the kind of girl you don’t want to meet in a dark alley, the stop sign red-haired punk is a constant thorn in the side of teachers and school administrators alike. Different goals, different friends, different lives, but the girls share a secret no one would ever guess. They are members of Don’t Get Mad, a society specializing in seeking revenge for fellow students who have been silently victimized by their peers. Each girl has her own reason for joining the group, her own set of demons to assuage by evening the score for someone else. And though school administration is desperate to find out who is behind the DGM “events”, the girls have managed to keep their secret well hidden. Now the girls don’t know who to trust, and as their tenuous alliance begins to crumble, the secrets they’ve hidden for so long might be their ultimate undoing. Revenge seeking, I love it! The colors on the cover are so pretty too! And the font stands out like a Gretchen McNeil novel. I instantly recognize it as one of hers. Let me know what you think of the cover in the comments below! Gretchen McNeil is an opera singer, a writer, and a clown. She is also the author of Get Even as well as Ten, which was a 2013 YALSA Top Ten Quick Pick for Reluctant Young Adult Readers, a Romantic Times Top Pick, and an ALA Booklist Top Ten Horror Fiction for Youth and was nominated for Best Young Adult Contemporary Novel of 2012 by Romantic Times. Gretchen blogs with the Enchanted Inkpot and is a founding member of the vlog group the YARebels. Sounds intriguing. Thanks for sharing. Looking good 😀 and I also like the sound of this book. A catholic prep school is an interesting setting. Mel@thedailyprophecy recently posted…Monthly recap. January. Ooh thanks for sharing! 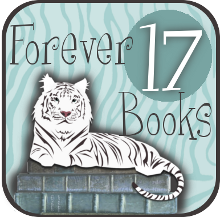 I read and loved Ten by Gretchen. I think I’d enjoy this one too. I’m already curious!! Oh another Gretchen McNeil book! I only read one and it was pretty good – but they all sound amazing and right up my alley. This one included! I love the cover and it kinda reminds me of Pretty Little Liars! I haven’t read anything by this author, and I get nervous about an ensemble cast like this. BUT the description is pretty intriguing, and this author likes to do creepy retellings, right? For some reason this makes me think a tiny bit of THE SECRET HISTORY by Donna Tart, though not exactly like it. Anyway, I like that cover a lot. This book looks really good! I’ve read her book Ten and I really loved it so I will have to check this one out too!